A wonderful perk of visiting any tropical country such as Vietnam is the fact that visitors are able to see and taste numerous exotic fruits. Typically, visitors stay with the more commons fruits, however it can be extremely adventurous to discover a couple of the more quirky Vietnamese fruits. Below are a couple of Vietnamese fruits that should be tried when visiting Vietnam. 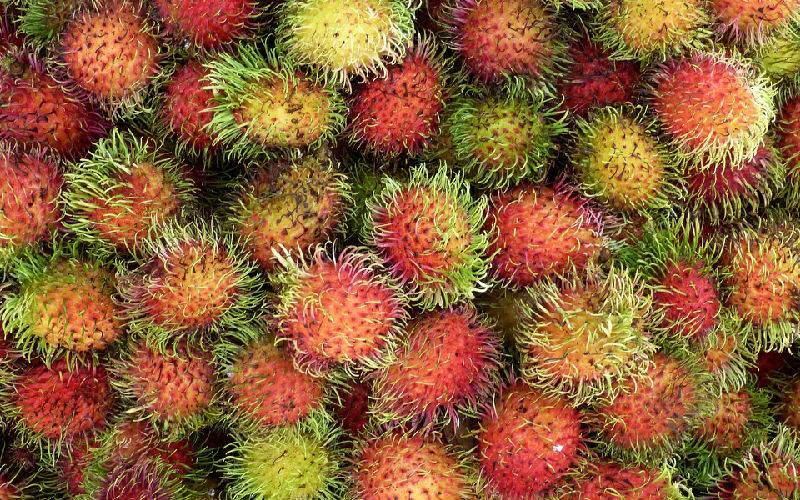 This fruit is usually grown in a bundle, with the rambutan's exterior color varying from yellowy orange to yellow or red. This fruit is native to the region's tropical countries, with the spines located on the outside of the rambutan popularly called “messy hair”. The fruit's flesh sometimes sticks into the seed a bit, but this is not always the case. The fruit is thick, white and comes with a fragrance that is good, while its taste is a bit sour. Additionally, rambutan ripening season typically starts from June and is ready for harvest by August. A rambutan is definitely one of the tropical fruits available in Vietnam that should be tried. 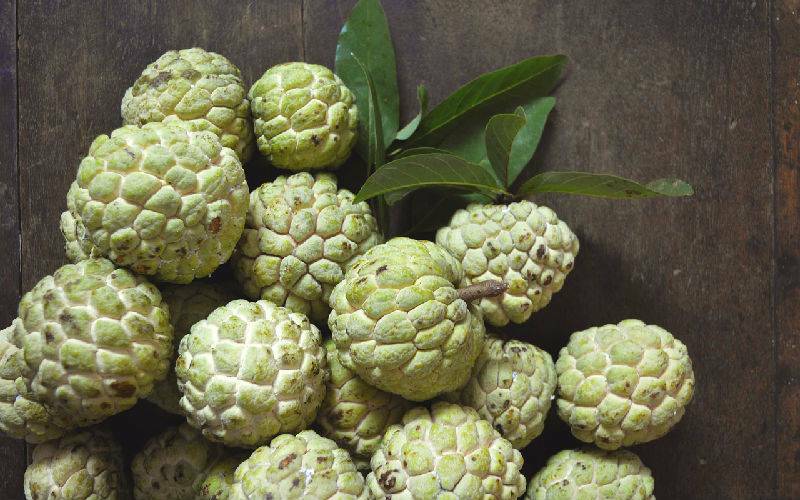 This fruit actually originated in the Americas, however custard apple has been grown in numerous tropical countries. It's green bumpy skin encompasses it's hard black pips and white flesh. The taste of the fruit is floral and sweet, promising a satisfying yet unique mouthfeel. This delicious fruit is actually quite inexpensive, coming in at about VND 60,000 per gram. It is also a wonderful Vitamin B and Vitamin C source. 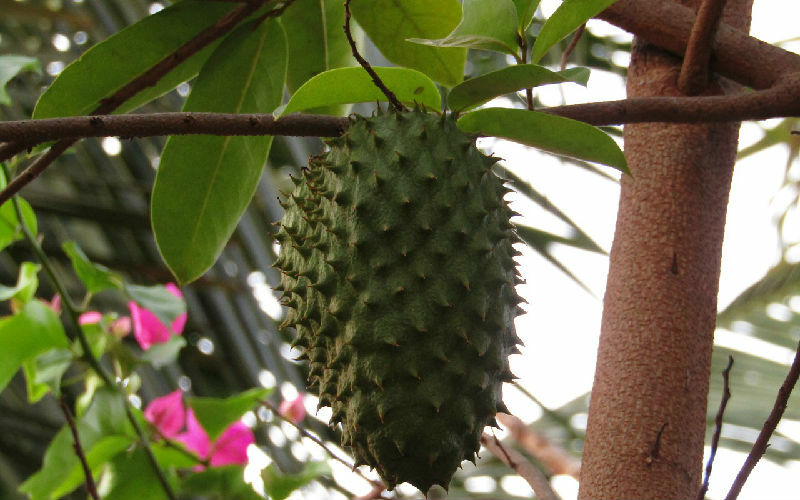 Soursop isn't just referred to as a tropical fruit that has a sour and sweet taste, but it's also a great source of nutrients that can be used in an array of important medicines. This is because it is able to deliver a boost to the immune system while helping to prevent against cancer. This King of Fruits has its harvest season starting from May till August and visitors to Vietnam can enjoy the fruit. It is actually pretty easy to spot in any supermarkets or street markets located in Vietnam. 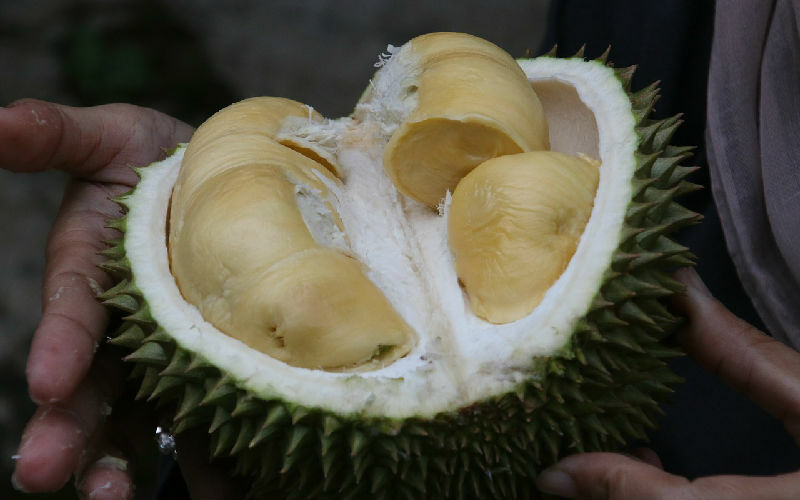 In numerous Asian countries, durian has been called the King of Fruits thanks to its massive size, strange smell, outer husks that appear to be covered in spikes which are actually sharp enough to draw blood. Durian fruit contains s high volume of vitamin c, sugar, potassium, tryptophan, fats, carbohydrates and proteins.. the fruit is commonly recommended to be a wonderful source of raw fat. If there is a chance that visitors to go to Vinh Long province while they are in Vietnam, they can try the Durian fruit variety present which has been heralded as the best variety in all of Vietnam. Where the durian is known as the king of fruits, mangosteen can be referred to as the fruit queen thanks to the semi firm like shell exterior which while not a lot to look at. That being said, people are impressed by the delicate as soft flesh the white interior shows at first sight. 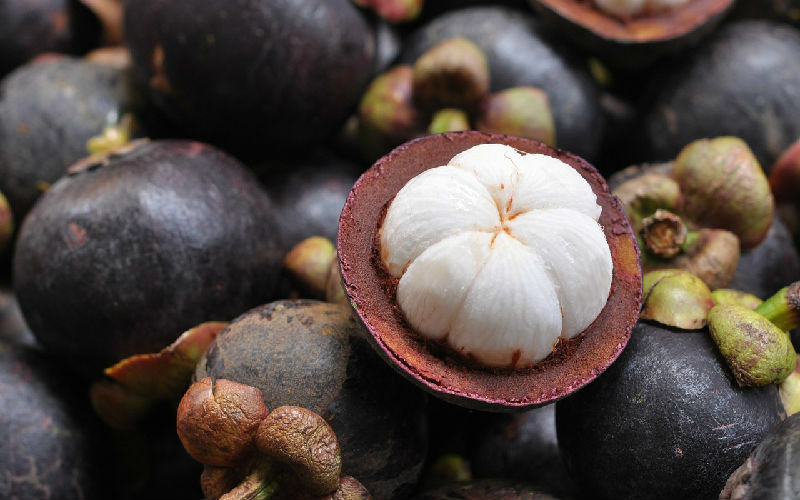 Mangosteen as a tropical fruit grows only in the right temperature which is warm weather that ensures it grows from Hue, all the way to the country's south. The best mangosteen variety in all of Vietnam is the Lao Thieu variety which comes with a thick peel, sour and sweet white sediments that has left a pleasant yet unforgettable taste in the mouth. Mangosteen is a noble fruit which was widely available to not only well to do families but royal and noble families as well. 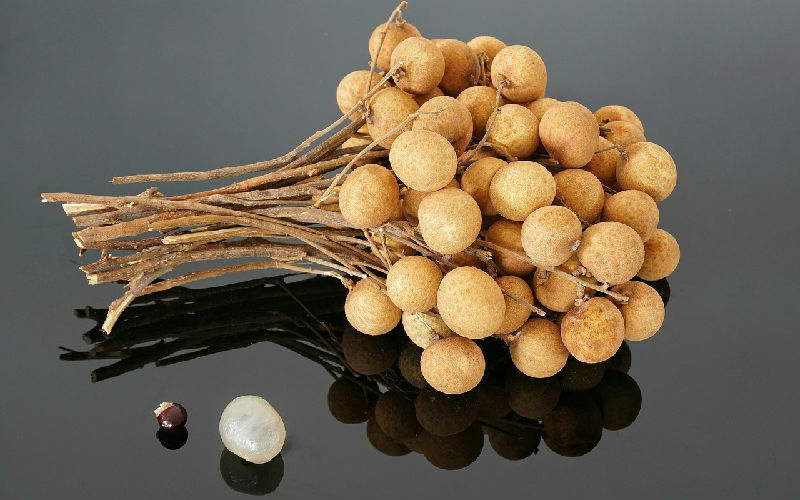 Considering its soft shiny round yet brown peel to represent what it looks like on the outside would be folly, as longan comes with a fleshy yet fresh pulp on the inside. It's pulp is extremely sweet and succulent, and gives off a very unique aroma. Each year, farmers harvest the ripe longans during July to August, which makes it one of the sweetest tropical fruits to have a taste of. This fruit was formerly called the Pitaya fruit, but now known as Dragon Fruit, it is the most wonderful and nutritious of the region's exotic fruits. This fruit was originally native to southern and central America, however it has been cultivated in numerous places as diverse at Australia and South East Asia. This fruit is a species of cactus and is available in 3 forms, red flesh with red skin, white flesh with red skin and white flesh with yellow skin. 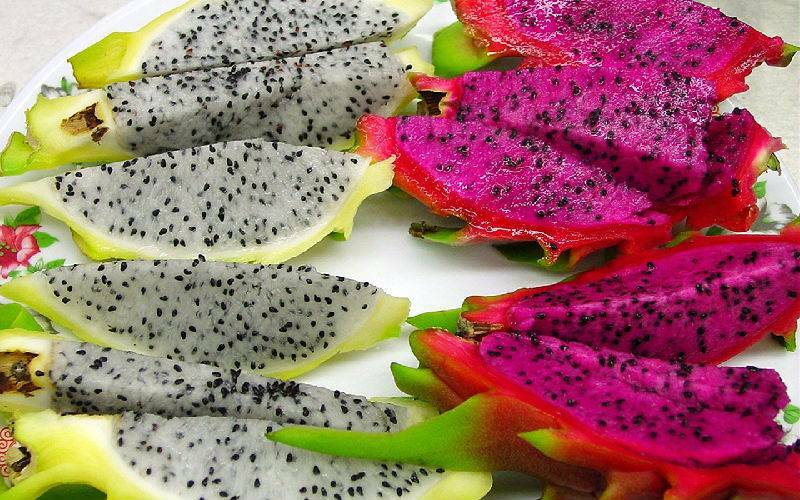 This is why the Vietnamese dragon fruit is particularly crunchy and sweet. 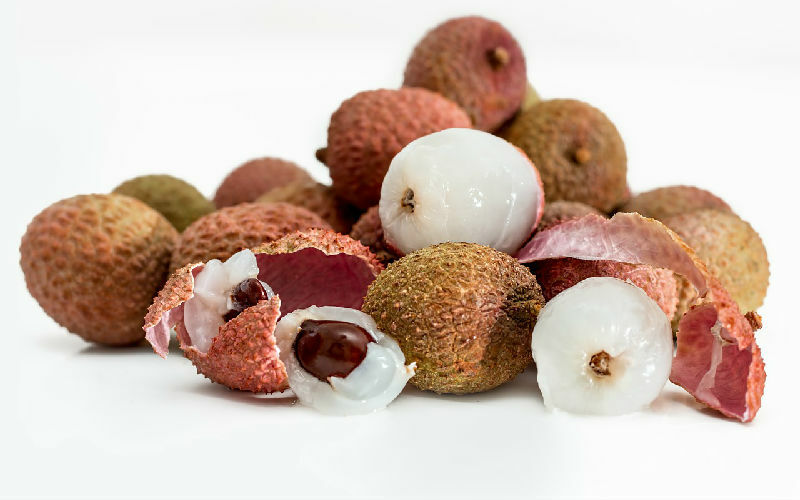 Lychee is definitely one of the more famous fruits available on Vietnam. It sees a rise in consumption typically during the start of the summer. The fruit's skin is usually a dark red hue and is particularly seamless to hand peel. It's juicy white colored center hold a substantial amount of natural sweetness and vitamin c. Lychee can be either made into a beverage by simply adding fruits such as dragon fruit or mango combined with sugar syrup or eaten raw. 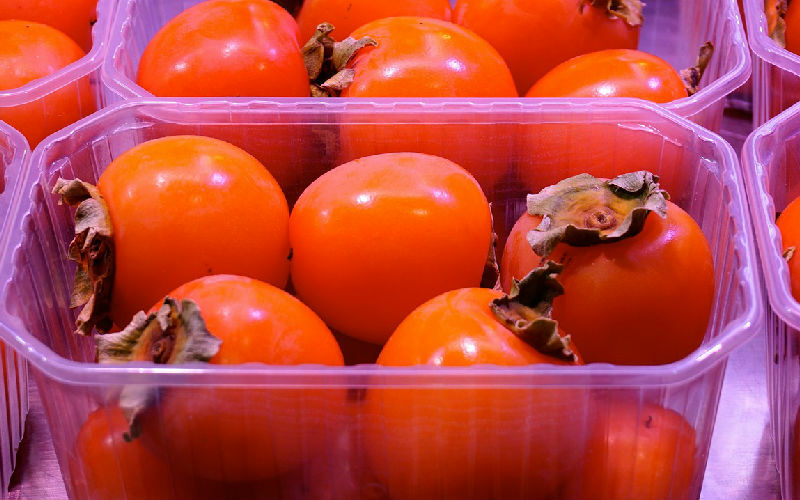 There are so many culinary uses and applications for persimmon in Vietnam. The fruit can either be eaten raw, dried, fresh or even cooked. Persimmon's flesh varies from soft to firm, however its texture is unique. It has a smooth outer skin which is golden yellow in color. This fruit has numerous health benefits and can be tried at numerous local markets all over Vietnam. 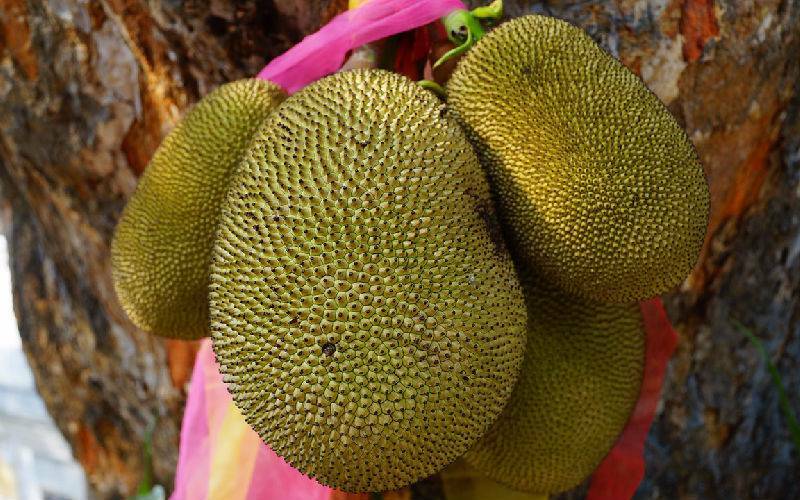 Jackfruit is another one of the more renowned fruits found in Vietnam. Despite its spiky outer crust and it's large shape, it has a taste that is sweet, with an odor that frequently attracts individuals blessed with a sweet tooth. The insides of the fruit is packed with numerous pulpy yellow knots which encompass the seeds when the fruit gets peeled. It is imperative to note that it has a sticky latex texture, so it is best to make use of s glove or a towel when attempting to separate the outside of the fruit. Start your fruit tour in Vietnam! The country's fertile plains and hot tropical climates, as well as the more temperate on the north, all means that almost anything grows here well. As a result, few places in the world claim to have such a rich supply of delicious fruit. If you come to Vietnam during the harvest, that is June to September, you will find a lot exotic fruit greeting you on almost every corner in Vietnam! Take advantage of this abundance by creating your tailor-made Vietnam tour with us! You will choose your interests your own for your tour while group tour will only take you to follow the same pattern. See our most popular tours below. All these can be customized on your requests.